Today was the big day for our Primary Sacrament Meeting Program at church. All the kids were awesome, and of course I was so proud of Calree and Preston, they did great. 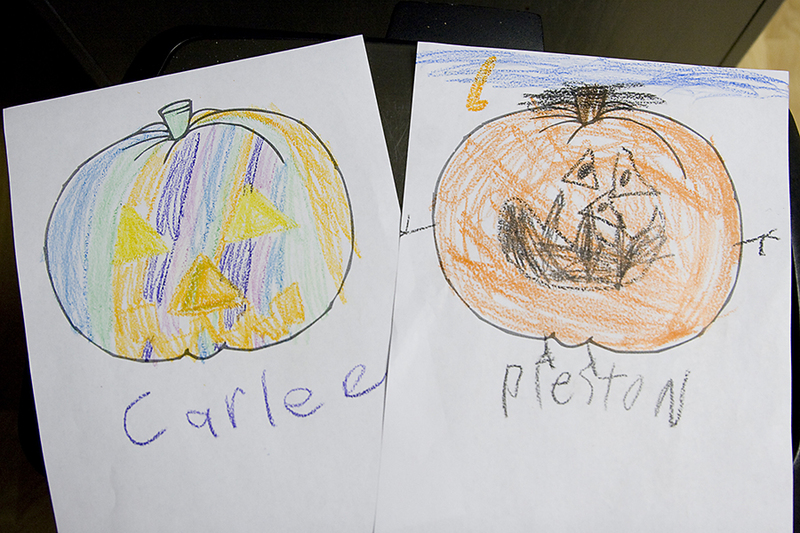 During primary we gave the kids a break, treats and had them draw pumpkins so that we could put them up on a wall at the Halloween Party in a few days. The pumpkins represents Carlee and Preston so well right now. Carlee loves drawing everything with a rainbow/muli colored look. And I LOVE Preston’s feet and hand on his pumpkin and his monster face.